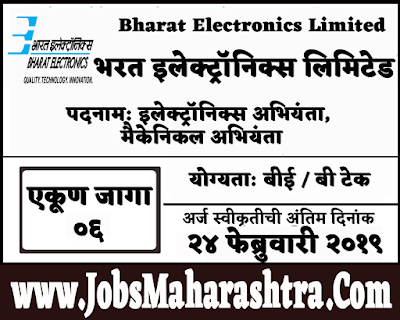 Bharat Electronics Limited recently published notification for 06 posts of Electronics, Mechanical. Interested and Interested candidates can apply through post/courier on below given address. For more details like age limit, salary, how to apply, selection process please refer the below article. Age Limit:- Maximum age limit as on 01.12.2018 is 25 years for general, 28 years for OBC (Non-Creamy Layer), 30 years for ST, & 35 years for PWD candidates respectively. Rs. 16,000/- per month payable as a salary. Application form attached to the below given important web link section. Written test will be conducted at PIMPRI-CHINCHWAD/PUNE. 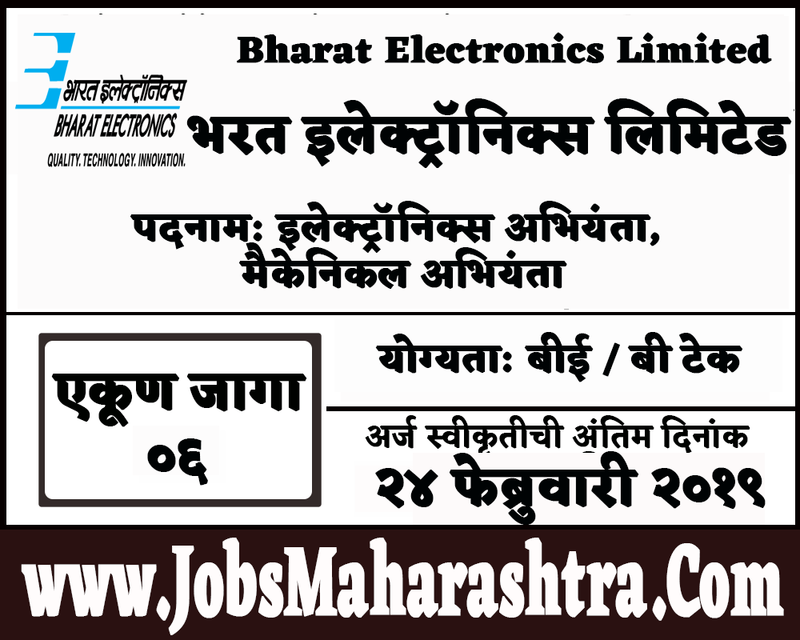 All candidates who are applied for the above posts will be called for written test. Before the written examination, the candidate concerned has the obligation to ensure that has fulfilled the above given eligibility criteria.